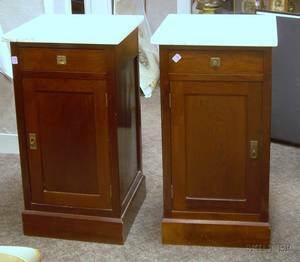 Pair of Edwardian White Marble-top Mahogany Bedside Cabinets. 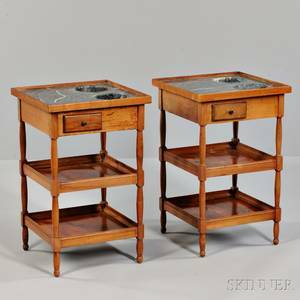 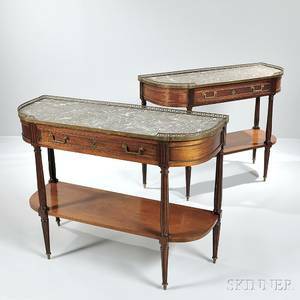 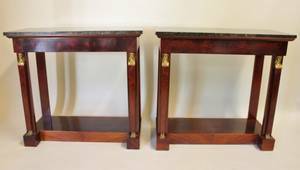 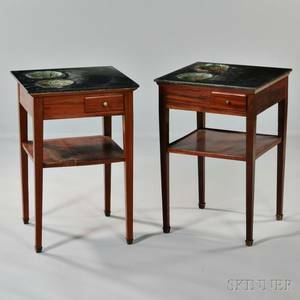 Pair of Regency-style Marble-top Mahogany Book Cabinets. 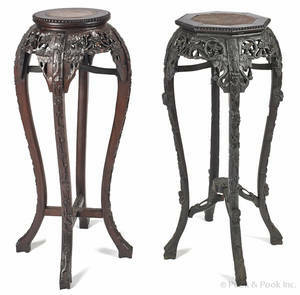 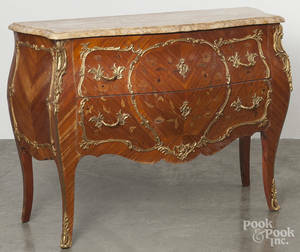 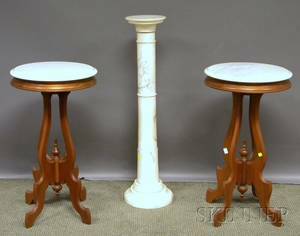 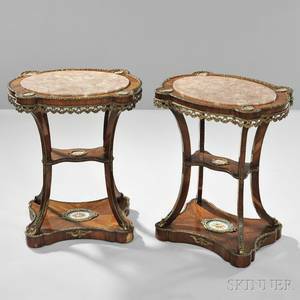 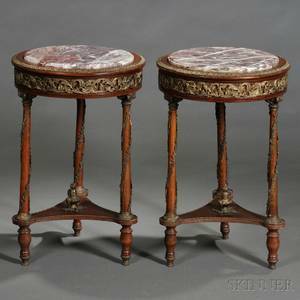 White Marble Pedestal and a Pair of Victorian-style Marble-top Walnut Stands.